Cavalesse works by decreasing the production of histamine, one of the substances your horse naturally produces that makes them become itchy. It also increases the amount of natural fats in the surface of the skin, acting as a natural protective barrier. Cavalesse is most effective at preventing sweet itch if you start to give it for one month before allergy season begins, ie around March. 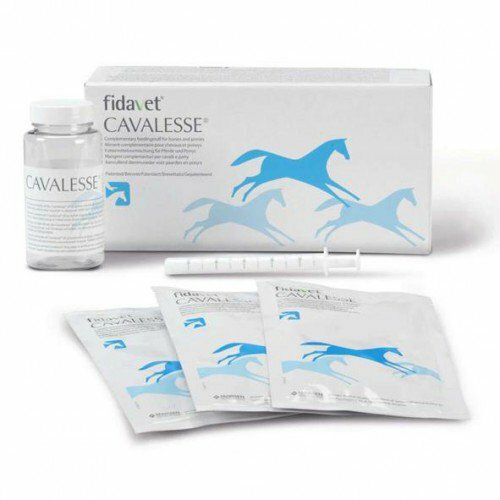 Feeding Instructions- Cavalesse comes in a powder form; one sachet should be mixed with 80mls of water, before giving 2mls (to horses weighing less than 500kg) or 3mls to horses over 500kg). 3 sachets will last a horse <500kg for 120days or a horse >500kg for 80 days.